Spanish Springs gets huge win at Reno. this season. 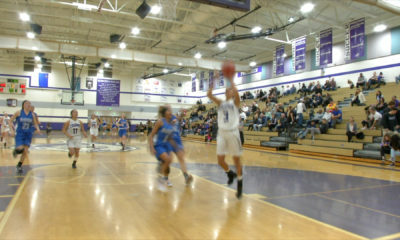 They rallied to beat the Reno Huskies, 64-57, who were also without a loss in league play this year. It was a playoff atmosphere even before the game started. So many people showed up, the end zone bleachers were used just to get everyone a seat, and still some people wanted to stand. Both teams had early game “jitters” and little continuity in their offenses. Reno led early, but it was tied at 11 at the end of the first eight minutes. Tommy Challis, who had a team high 22 for Reno, had six of the first 11 and 17, with the Cougars leading at half 34-28. Most of the first half was a shootout between the two marquee names on the floor, Challis and Jalen Townsell for Spanish Springs. Townsell chipped in 13 in the first half on his way to a game high 25. 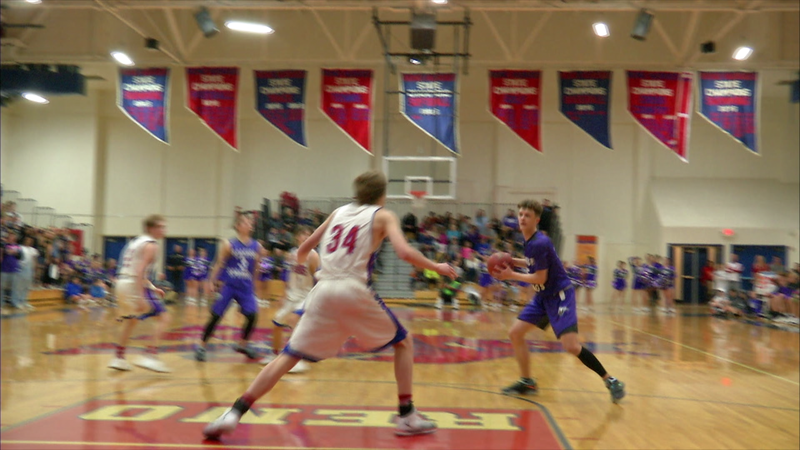 Spanish Springs stretched the lead to 11 (41-30) in the third period, but the Huskies got some scoring help late from Luke Stovak, who was in foul trouble in the first half , and Nick Gonzalez. Reno ended up outscoring the visitors 14 to 9, to make it a one point game after three, 43-42. Both teams led in the 4th quarter with Reno holding an early lead and the Cougars leading by five in the final 4 minutes. Reno’s Mason Betterton came off the bench to contribute 14, mostly in the second half, with nine from beyond the arc. Teammate Johnny Damon had 11, with 5 for 6 free throw shooting. Starters DJ Panfili with nine, Leo Grass with 10 and Mason Whittaker 13, gave Spanish Springs too much depth for Reno to overcome. Whittaker, at 6’4, had the unenviable job, most of the night, to guard the 6’8 Challis. Even though he didn’t stop the bigger Challis, he held him from going off, by frequently fronting the bigger man, and even stealing a lob pass that could have easily been a layup. 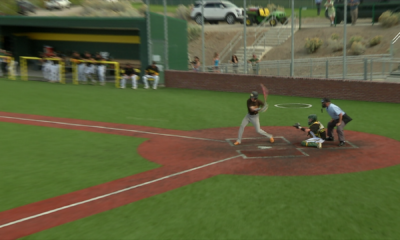 Galena, Bishop Manogue and Damonte Ranch may have something to say about who ends up on top of the standings by the end of the regular season, but don’t be surprised if last night’s game was just a prelude to the regional final championship game. Bishop Manogue gets a thrilling 6-5 win over Galena at home. 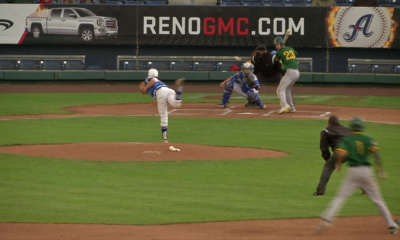 Bishop Manogue defense stops McQueen on two hitter. 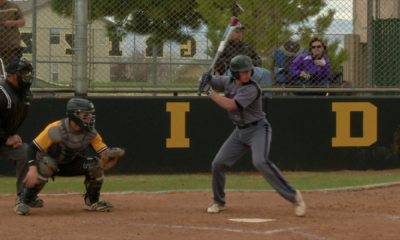 Spanish Springs rides 8-run first inning to win over Galena.